D-Link introduces the Wireless 150 USB Adapter (DWA-125), which delivers high performance wireless connectivity with better wireless reception over standard 802.11g adapters*. Upgrading your notebook or PC with the D-Link Wireless 150 USB adapter will provide an excellent solution for experiencing better wireless performance and faster connection to a high-speed wireless network. * Windows 7 certification / compatibility. 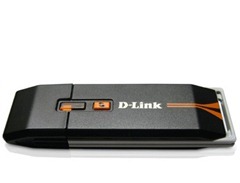 If you need the latest windows driver for D-Link DWA-125 (rev.A2) , try the Ralink USB(RT2870 series) generic driver.